Week 9 – green beans! – celery – this is the first time I’ve grown this and I’m pretty happy with the way it turned out. Enjoy it raw or cooked into a recipe and let me know how you like it. – cucumbers – 2 slicers and 2-3 of your choice of a mixture of pickling/blonde/asian cukes. This week I’m giving the kale and chard a rest as they could use it to help regenerate more new growth. But you have some braising greens in the form of beet and turnip tops. 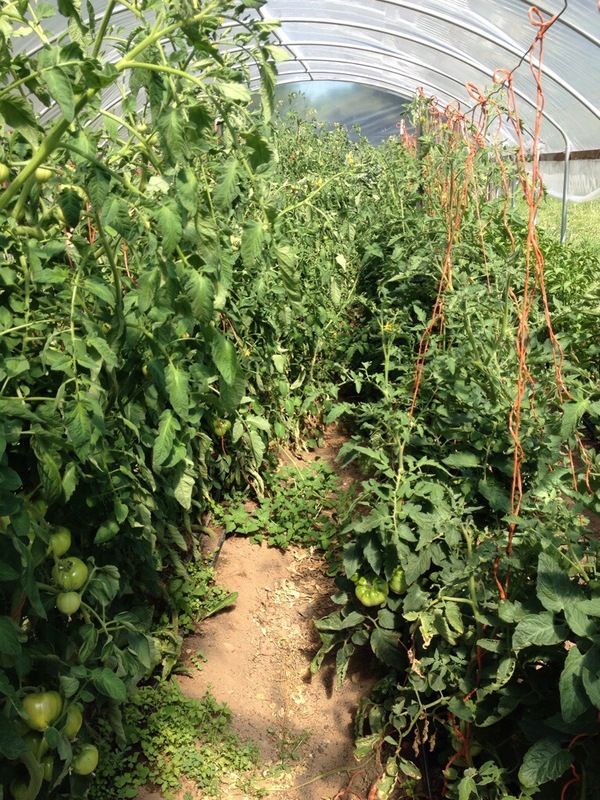 There is lots of salad today with the two lettuce heads plus the mesclun mix. I don’t grow a lot of mesclun mix currently for the CSA as it is very labor intensive, but it certainly is satisfying to have it now and then. There are some new cucumber varieties trickling into the harvests these days: National Pickling, Boothby Blonde (similar to a lemon cuke but larger), and Suyo Long (asian). One idea for using these is making quick pickles. Here is an easy quick pickle recipe from thekitchn.com. You can substitute any type of cucumbers. This recipe is a great way to use up cucumbers. Pickled cucumbers are traditionally served as an accompaniment with rice or sushi, but feel free to serve any way you like. Wash the cucumbers and slice in thin coins. Place in a bowl and sprinkle the 2 teaspoons of salt on them, and set aside for five minutes. Rinse off the salt and drain the cucumbers. Combine all ingredients in a bowl. Place in a lidded container and let sit in the refrigerator for 24 hours. They will be ready to eat then, but personally I find that their flavor mellows over time and I like to wait 3-4 days before eating. 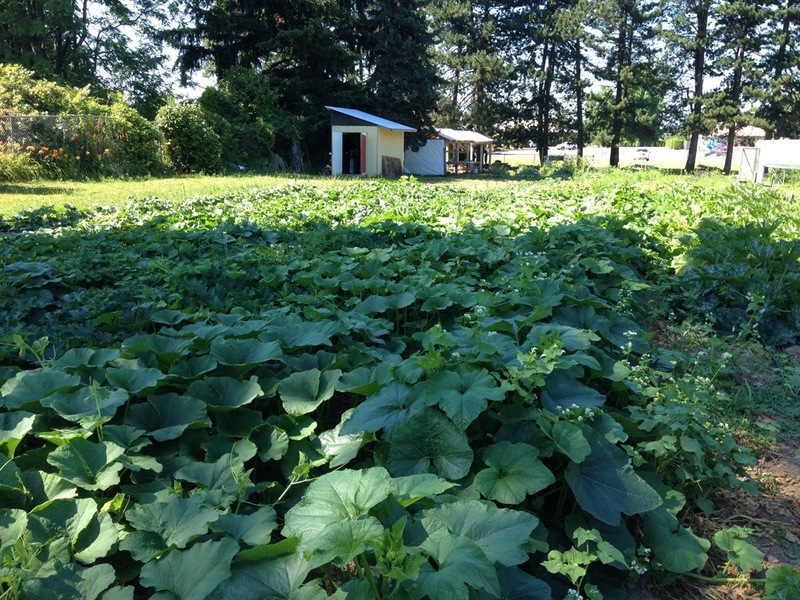 The field of winter squash has fully covered the ground and lots of baby winter squash & pumpkin fruit are forming. 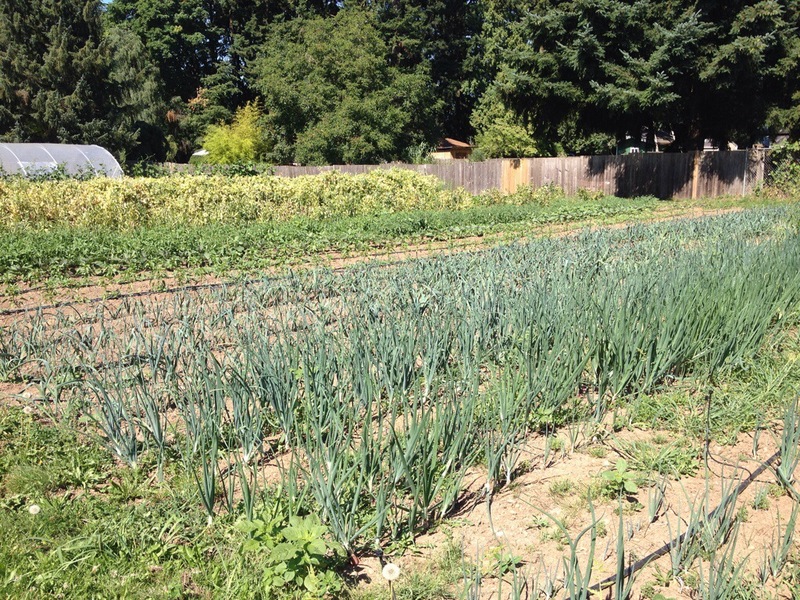 The onions and leeks are growing nicely. We should see some Walla Walla type onions in a few weeks.